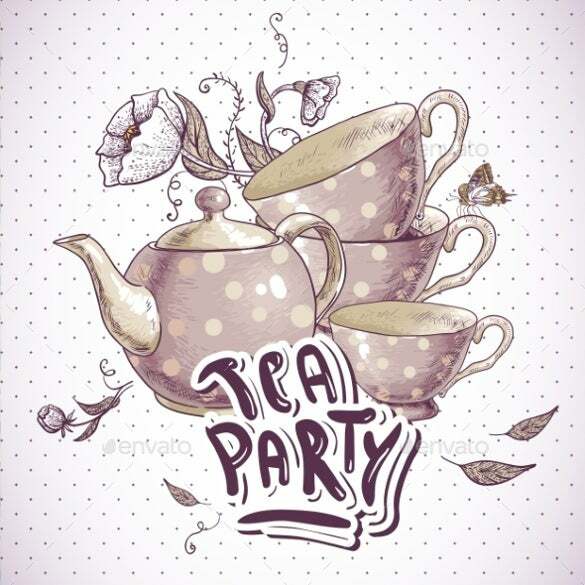 Tea parties are always a lot o fun. 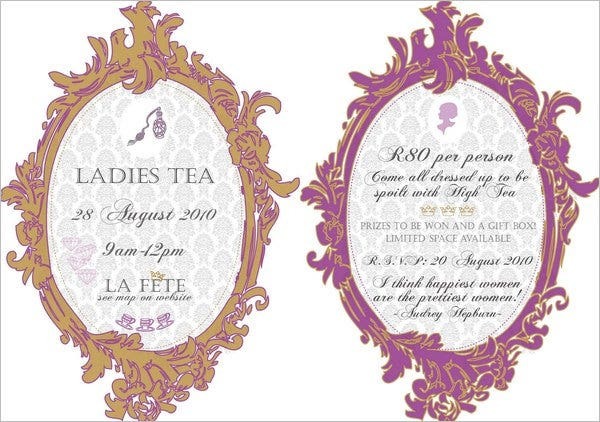 Mind you, they don’t necessarily always have to be a ladies’ affair. 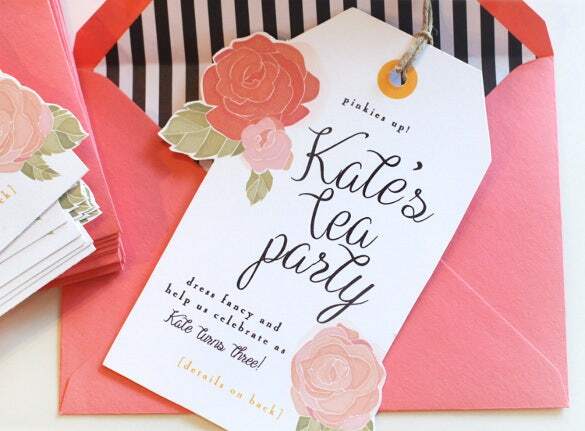 A tea party can be organized for family, coworkers or friends. 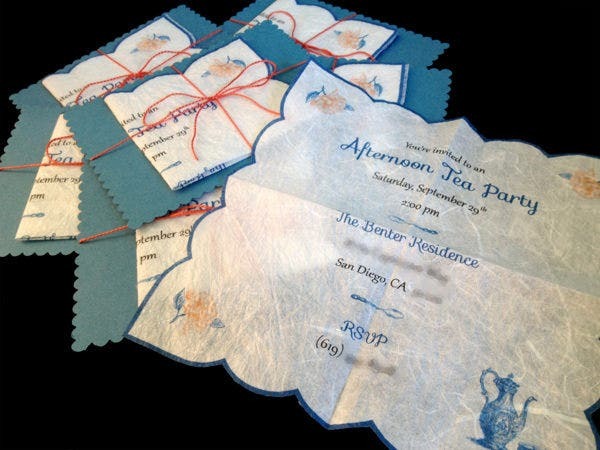 The theme of the gathering could be formal or casual – on the basis of which you’re probably going to need to make tea party invites. 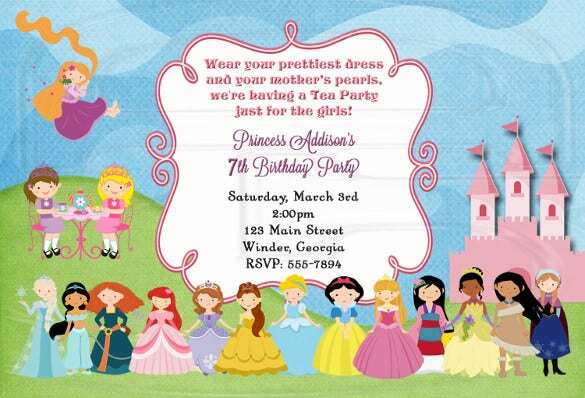 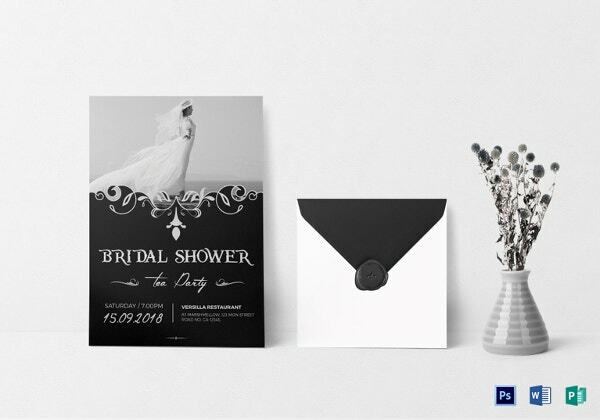 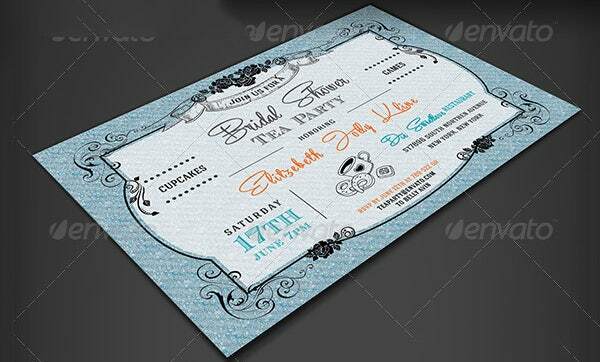 If you reckon you want to self-design the invitations but don’t know how to, well then you must scroll down through our high quality, artistic fully editable range of Party Invitation Templates. 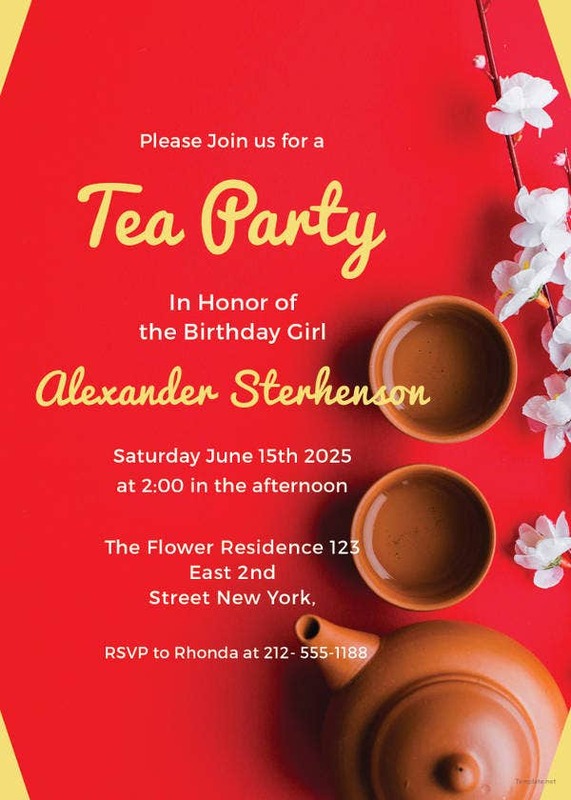 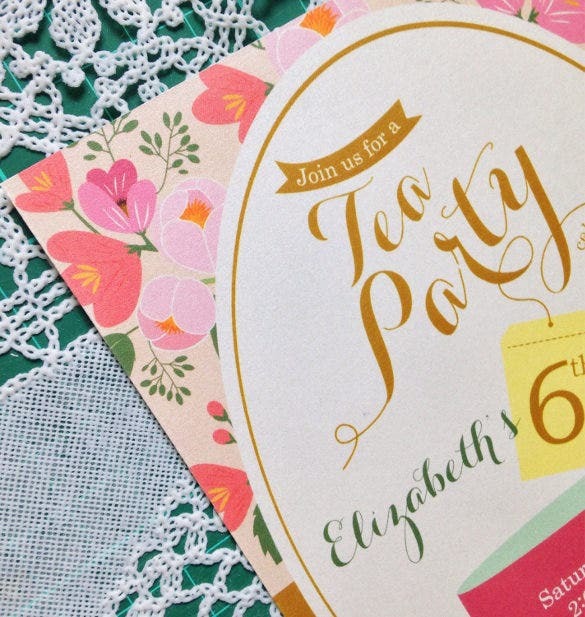 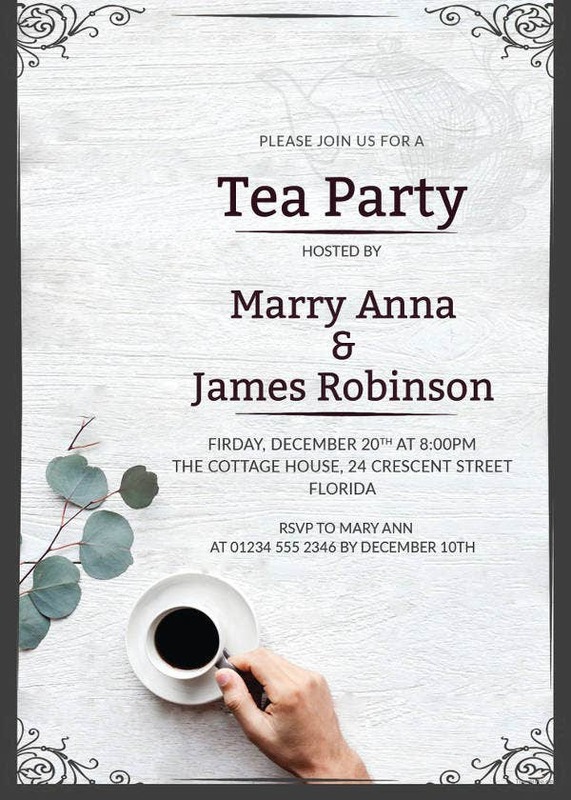 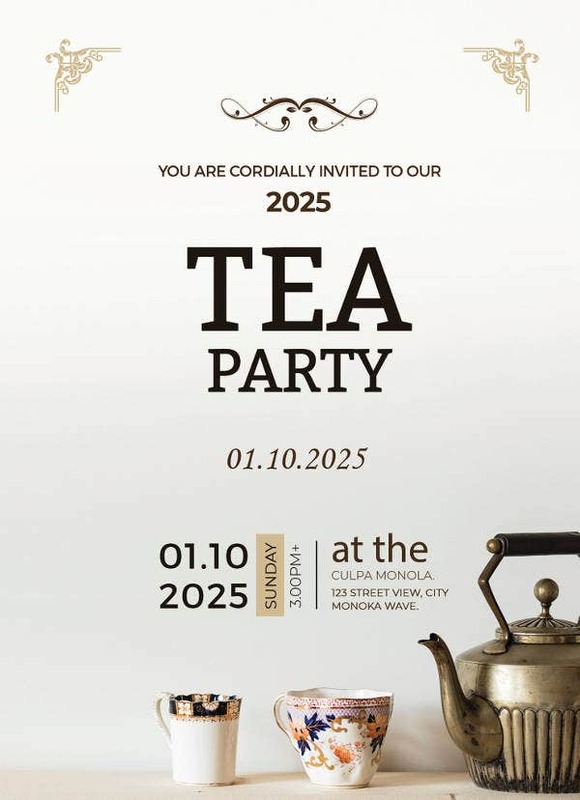 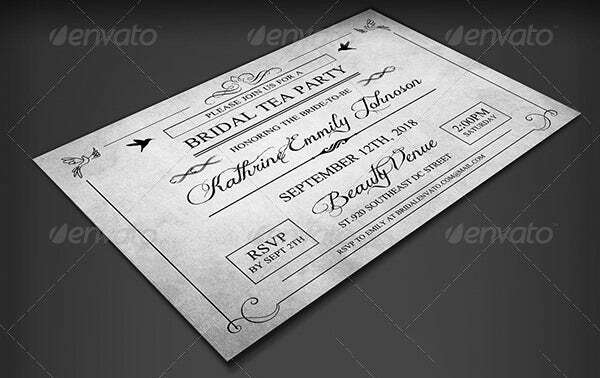 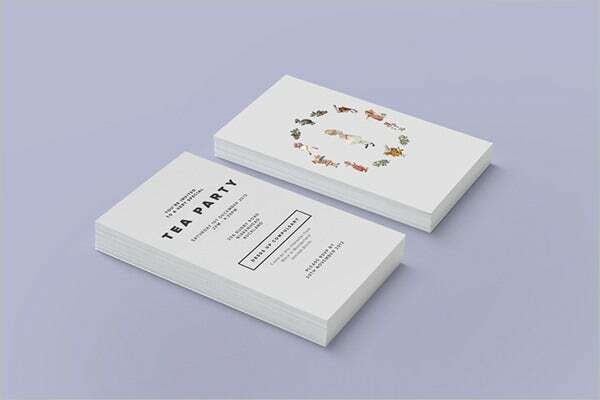 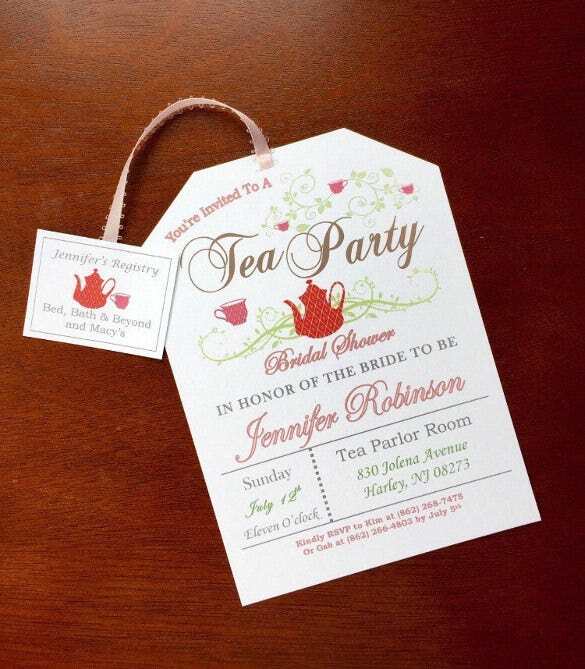 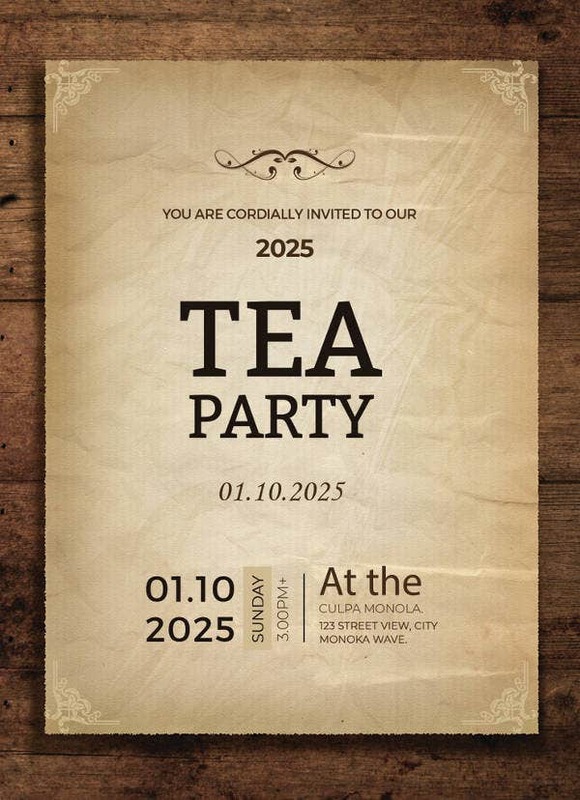 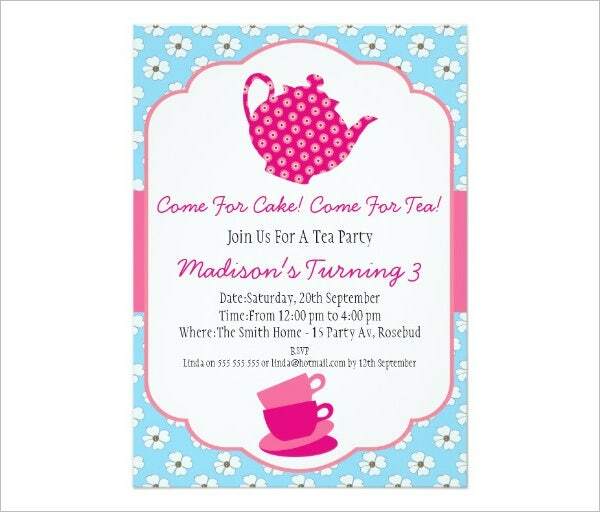 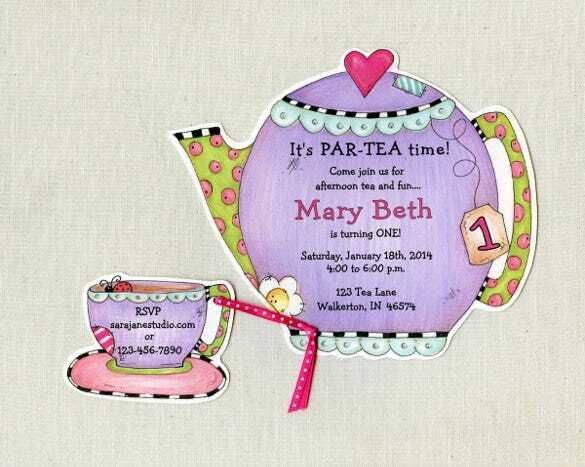 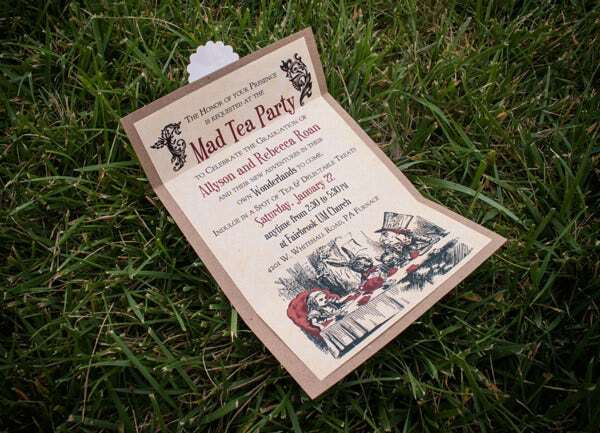 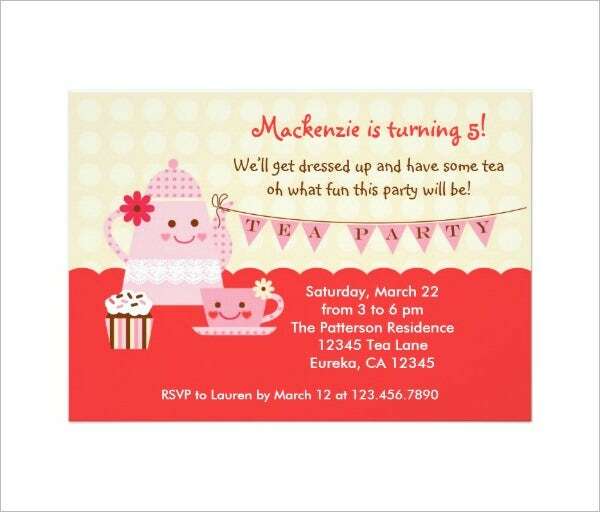 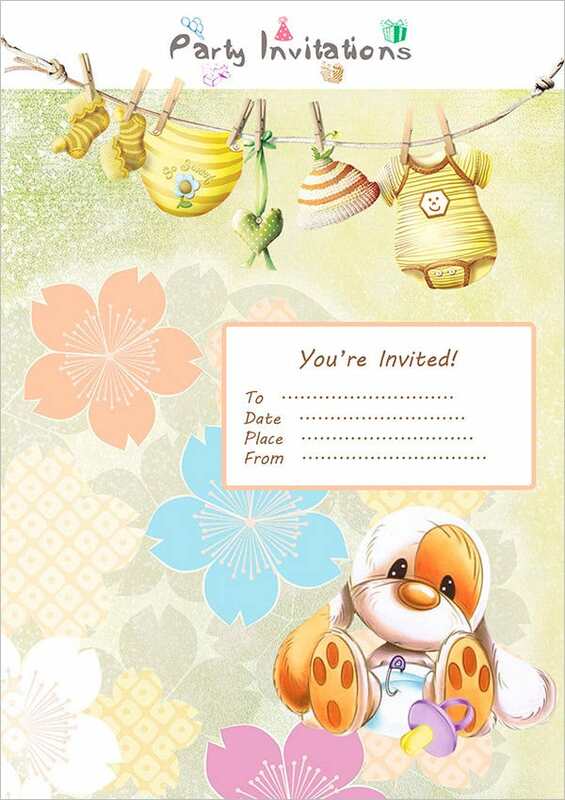 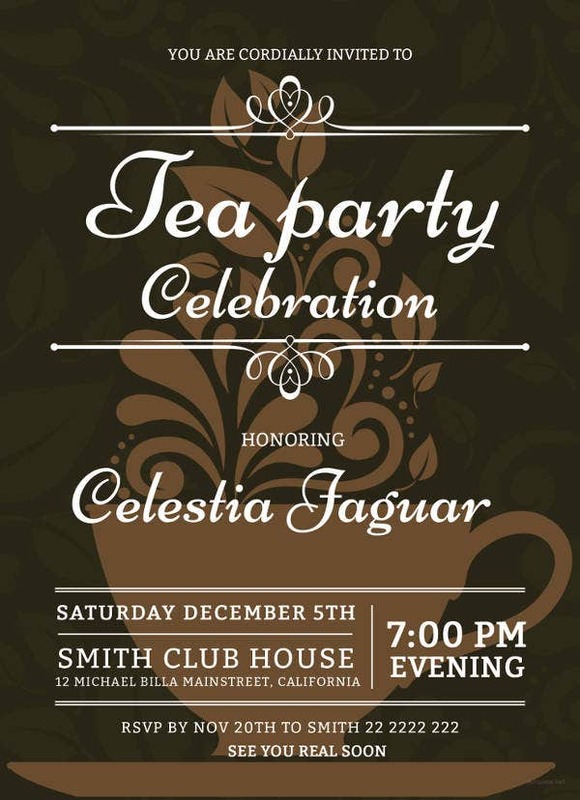 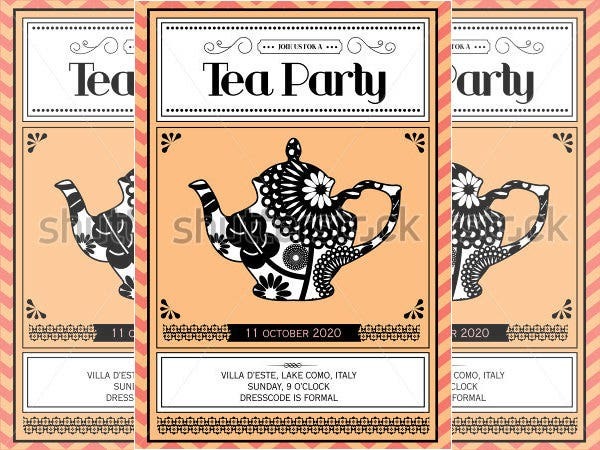 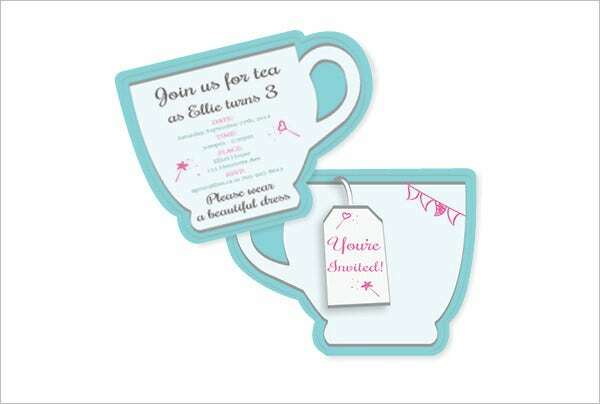 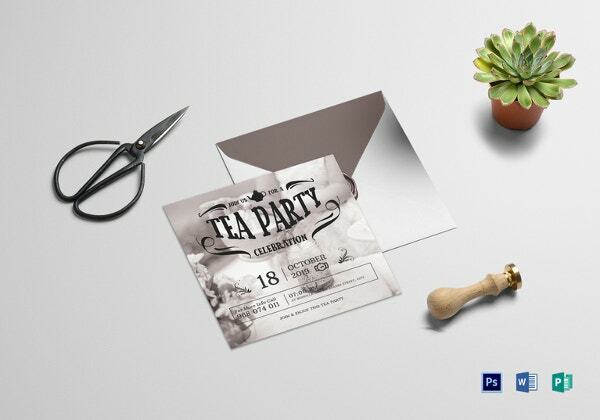 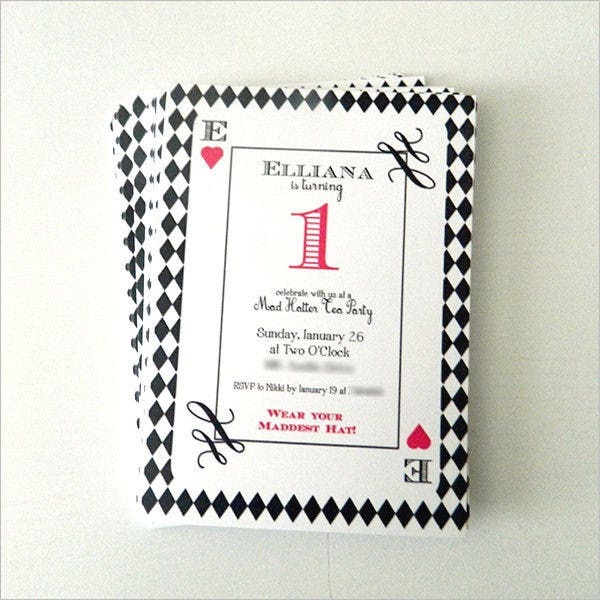 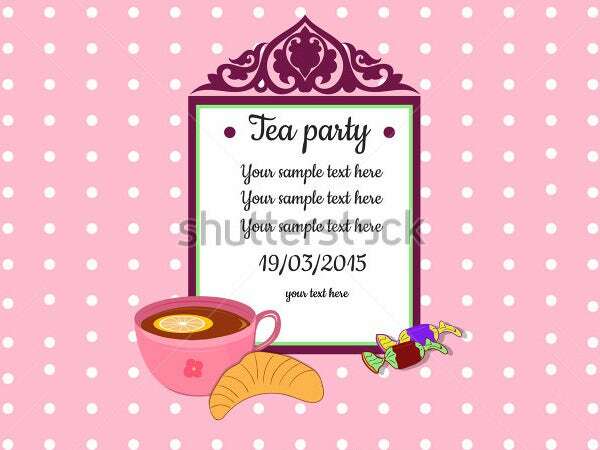 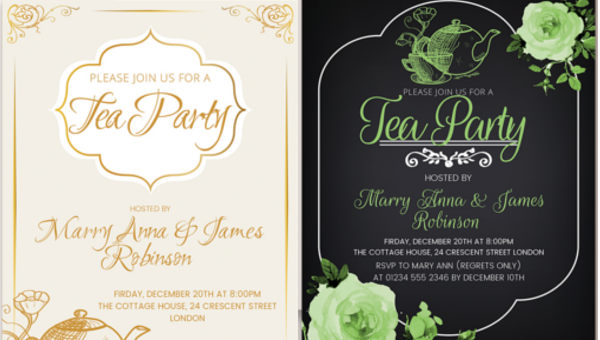 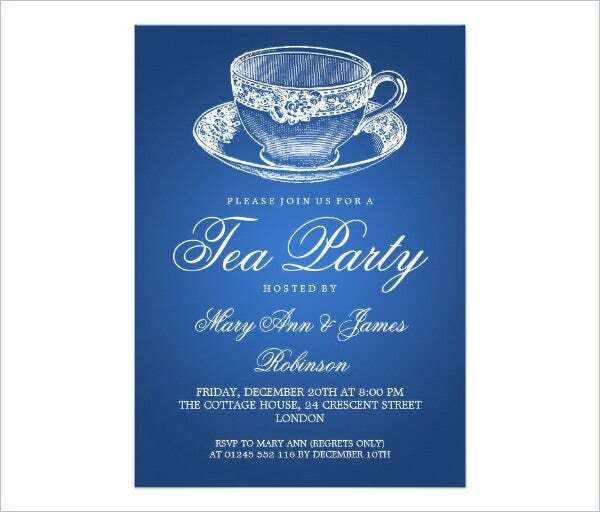 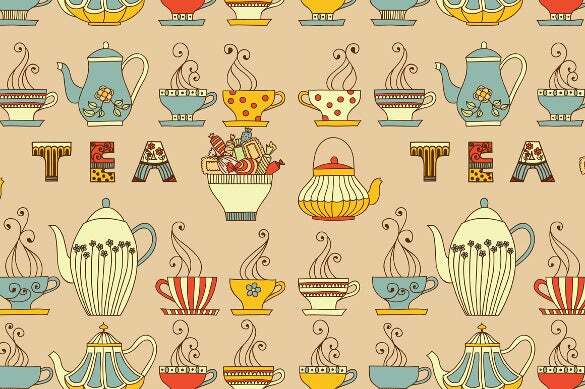 Whichever be the theme of your party, just make sure you design a tea party invite which is its match. 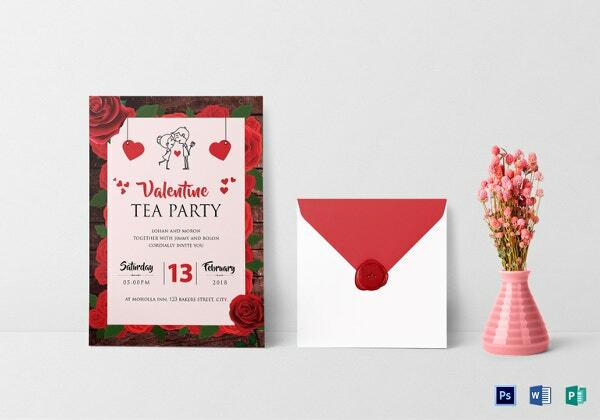 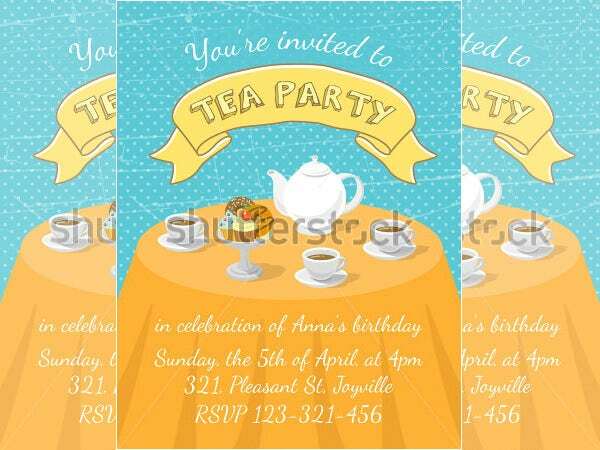 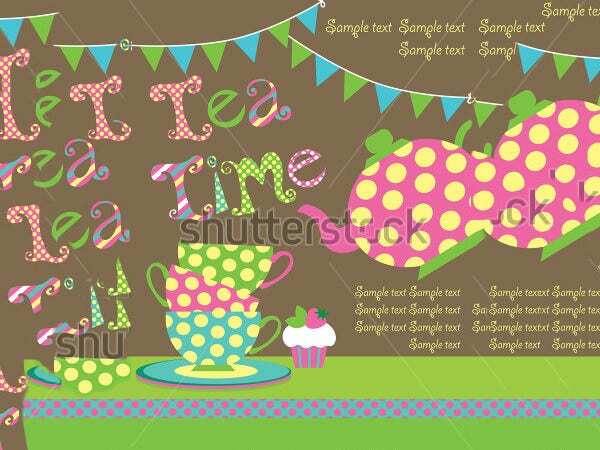 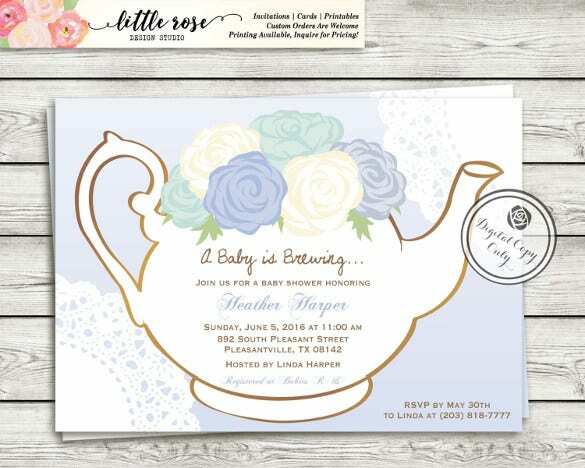 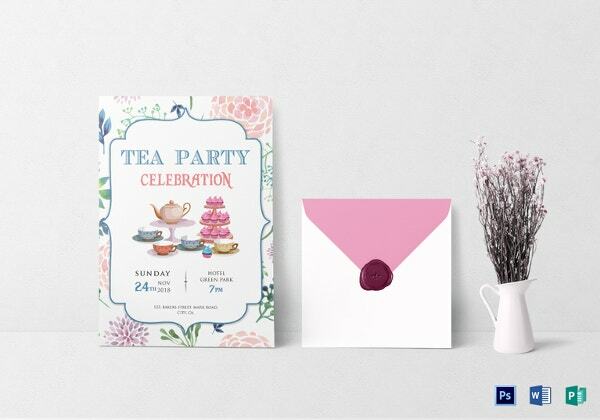 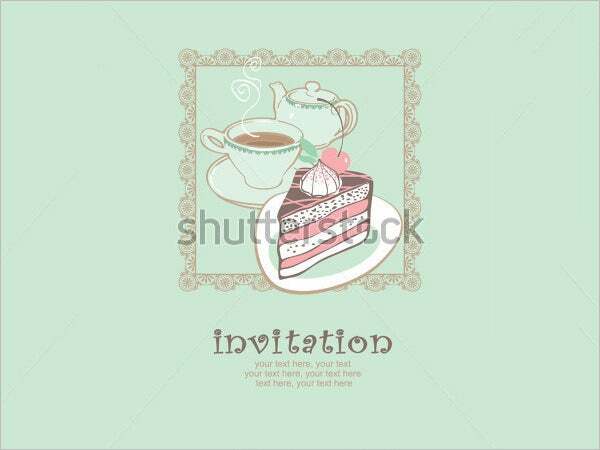 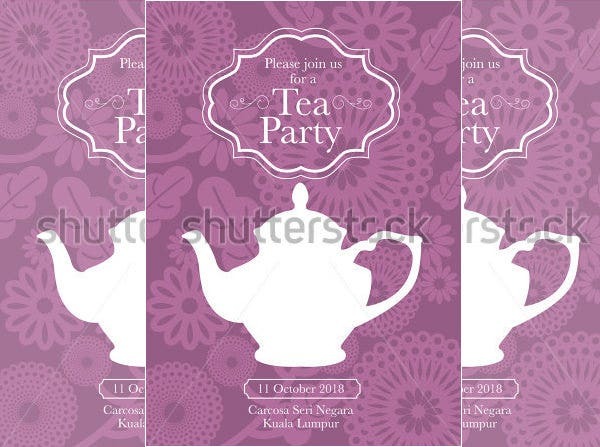 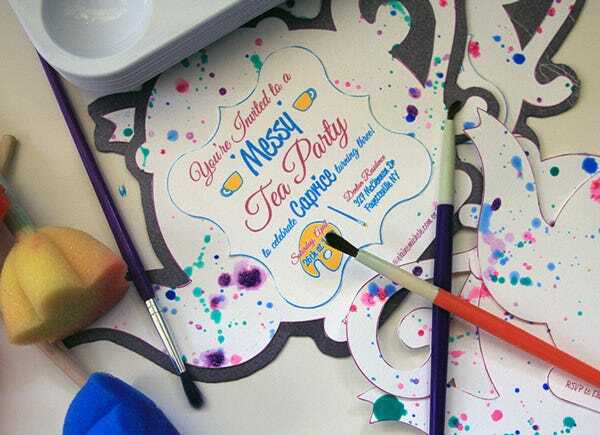 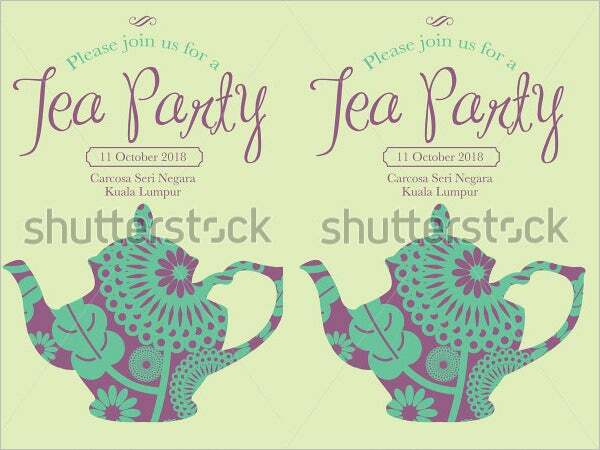 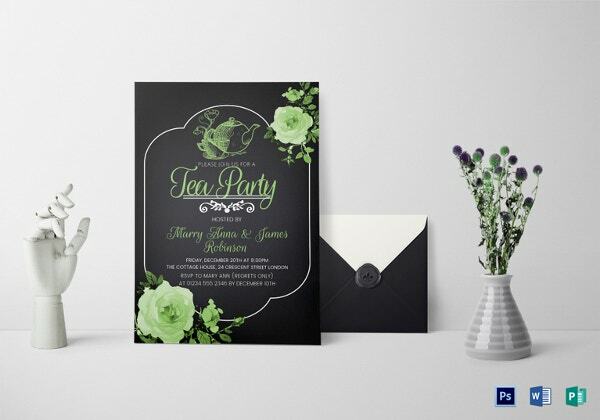 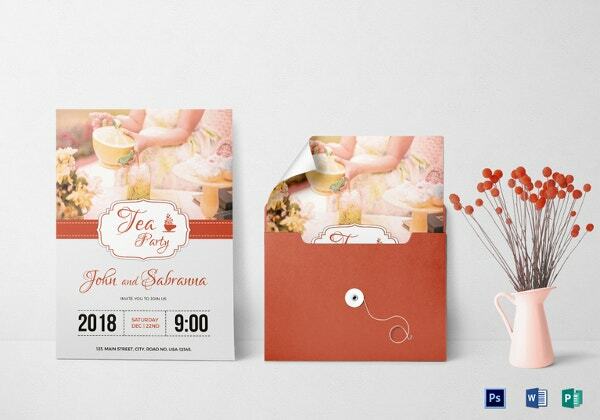 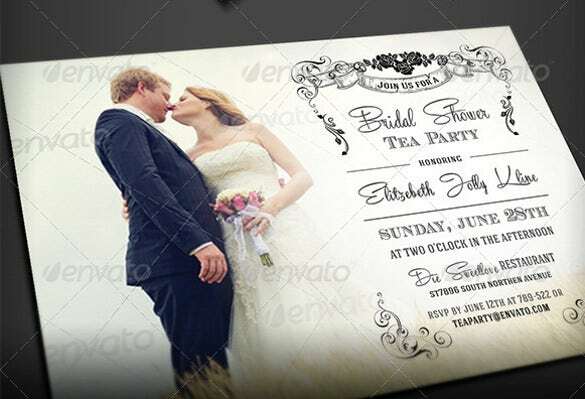 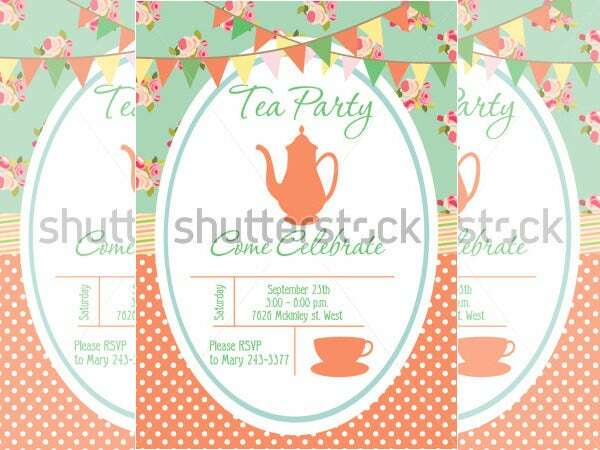 You could use artwork or imagery of hot tea with cakes or something similar on the invite, it would give a very pleasant hint to your guests of what they can expect at the tea party.You can also see Invitation Template.